Mix ground beef with dried herbs and seasonings of your choice such as oregano, marjoram, parsley, ground black pepper, onion powder, garlic powder, salt or salt sub, etc. Form into meatballs anywhere up to 7 1/2 to 10 cm (3 to 4 inches) in size. Brown the meatballs in the skillet in batches; transfer the browned meatballs to a covered bowl or pot to keep hot. 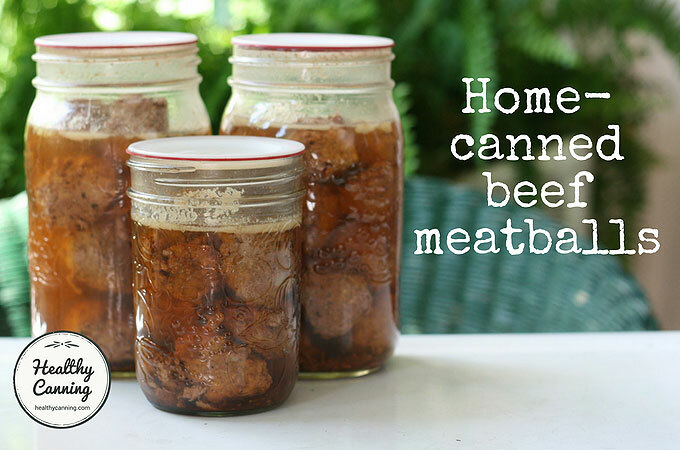 Pack meatballs loosely into half- litre (1 US pint) OR 1 litre (1 US quart) jars.